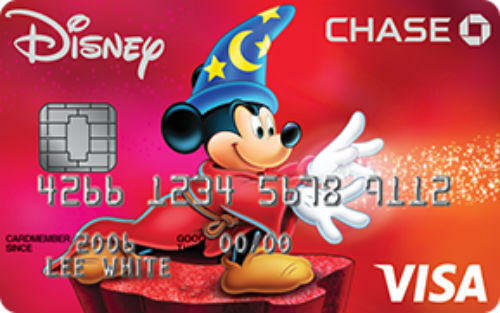 Disney Visa Card Worth it? APR can be good for those who have fair credit score. 0% APR for 6 months on Disney vacation packages. Fast delivery of bonus after the first purchase. 10% savings at Disney products. $100 sign-up bonus is not very attractive for consumers. 1% rewards points rate is below average. Consumers will need to pay 3% more for foreign transactions. 5% cash advance and balance transfer fees are high. APR is high for excellent credit score. 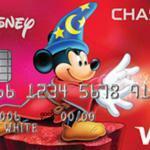 Disney Visa Card is a simple credit card product which you can gather 1% rewards points on every purchases. The card is not providing higher rewards points at the moment. You can get $100 statement credits just after the first purchase with your credit card. There is also 10% saving opportunity with the card on Disney and Star Wars purchases. There is also 0% APR opportunity for 6 months on Disney vacation packages. Minimum balance transfer fee of balance transfer is average. However fees for rest of the options are high. Minimum fee for Cash Advance and maximum fee for transfer and cash advance are too high. There is also foreign transaction fee of the card with 3% rate. The only good side of the card is annual fee. Despite of low rewards points, the card has reasonable APR for those who has fair or good credit score. 17.99% is high for excellent credit score. This card can be a good opportunity for you if you are purchasing from disney regularly. Other than that we don’t recommend this for general uses. We believe that Chase improve the length of introductory period and rewards amount to make this card attractive for consumers. You can see Disney Visa Card rates and Credit Card Center Editor Scores below. 17.99% 1% Disney Dollars on all purchases. $100 Statement Credits after your first purchase. 10% savings on Disney and Star Wars purchases at Disney store or shopdisney.com. You can read some users reviews of Disney Visa Card below.